Monday 12 p.m. - 6 p.m.
Wednesday 12 p.m. - 6 p.m.
Thursday 12 p.m. - 6 p.m.
10% military discount and $279 Military Max Fare Round-Trip to any location Greyhound serves throughout the U.S. Service is available for Active-Duty, Retired, Spouse and Dependent passengers with Military ID. Package express service is available for parcel shipping. Tickets may be purchased at Fort Gordon Bus Station and transfer to other locations for passenger pickup (service fee applies). We accept Mastercard, Visa, Discover and American Express. We also process ticket purchases via telephone (service fee applies). Buses operate 7 days a week. Buses load/unload at the rear of the building. 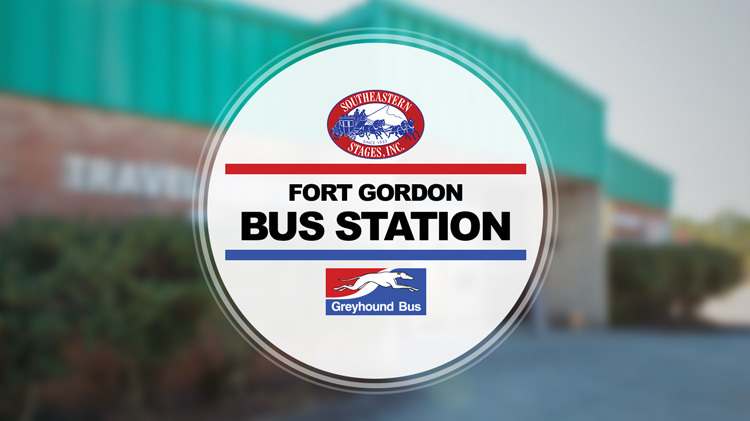 Call the Fort Gordon Bus Station for fare and schedule information.